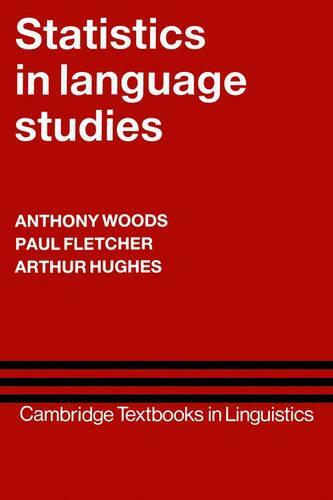 This book demonstrates the contribution that statistics can and should make to linguistic studies. The range of work to which statistical analysis is applicable is vast: including, for example, language acquisition, language variation and many aspects of applied linguistics. The authors give a wide variety of linguistic examples to demonstrate the use of statistics in summarising data in the most appropriate way, and then making helpful inferences from the processed information. The range of techniques introduced by the book will help the reader both to evaluate and make use of literature which employs statistical analysis, and to apply statistics in their own research. Each chapter gives step-by-step explanations of particular techniques using examples from a number of fields, and is followed by extensive exercises. The early part of the book provides a thorough grounding in probability and statistical inference, and then progresses through methods such as chi-squared and analysis of variance, to multivariate methods such as cluster analysis, principal components analysis and factor analysis. None of these techniques requires the reader to have a grasp of mathematics more complex than simple algebra. Students and researchers in many fields of linguistics will find this book an invaluable introduction to the use of statistics, and a practical text for the development of skills in the application of statistics.